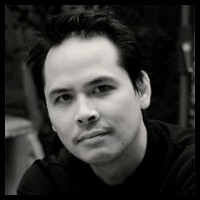 Emmanuel Shiu is a San Francisco-based concept artist with over 10 years of experience in the film industry. His career began at Lucasfilm, where he worked on Star Wars: Episode 1 – The Phantom Menace, which led to work on other major productions such as Hellboy, Harry Potter and the Goblet of Fire, Superman Returns and Iron Man. He currently specialises in concept design, illustration and visual development for film, with recent projects including Cloud Atlas, Star Trek and The Amazing Spider-Man 2. He also has a wealth of experience in TV and videogames, recently creating advertisements for Nike, Nissan, and designing the upcoming third-person shooter Lost Planet 3. We caught up with Emmanuel to talk about his work on After Earth. M. Night Shyamalan’s father-son sci-fi drama has taken something of a pounding from critics, but an undoubted highlight is the film’s vision of Nova Prime, the world on which the human race has made its new home, and the technology of the alien S’krell. As Kim Newman noted in Empire: “Prepare to cringe and snicker whenever the characters are talking, but gasp when Shyamalan just shows amazing stuff.” Here, Emmanuel explains how that amazing stuff was created. Jonathan Rothbart, the movie’s VFX Supervisor, originally approached me to design some of the film sets. 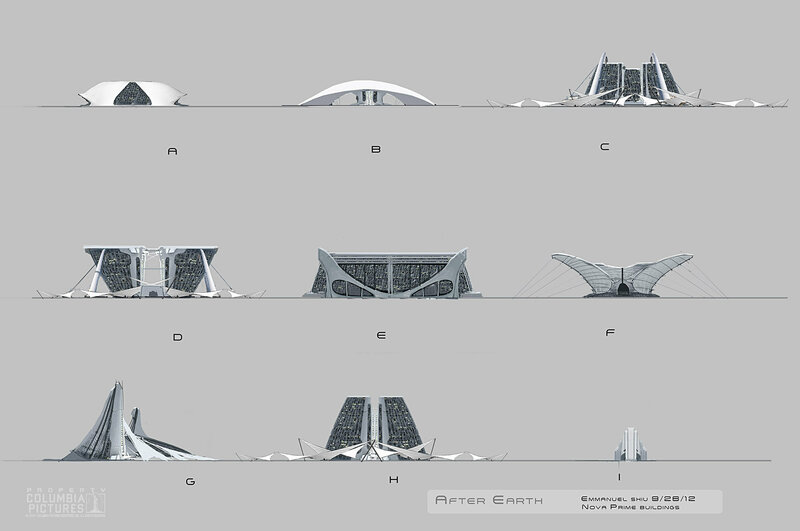 The first round of design was completed in pre-production, but the original designs needed to be fleshed out further, so as the film progressed, he came to me for additional design work, including the wormhole, the landscape and architecture of Nova Prime (above) and the alien ships. Jonathan reported directly to M. Night Shyamalan. They had a great rapport and he was able to communicate the look and feel the director was trying to achieve. Working with Jonathan was a joy, as he knew where to steer the concepts to fit in line with Night’s vision. As a freelancer, I tend to work alone, which can be isolating at times. Fortunately, one of my former colleagues, Colie Wertz, was also assigned the same project, so it was great to work together again. Since I came into the project at a later stage, the basic aesthetic had already been developed. The visual style was very organic, with shiny metal replaced with more rustic bone and cloth. As Nova Prime is an alien planet, I spent a considerable amount of time designing natural landforms. Since the crew shot plates in Moab, Utah, I had to design everything to blend into the existing landscape – which posed a challenge as Moab is so recognizable. I was responsible for designing new buildings to populate the city on Nova Prime, and develop existing structures with enhanced realism and substance. The biggest challenge was detailing the existing framework of building shapes and creating a variety of structures. Usually, pre-production artists work on a more ‘inspirational’ level, but when it impacts building designs, they often need help figuring out how to make these designs look right for film. 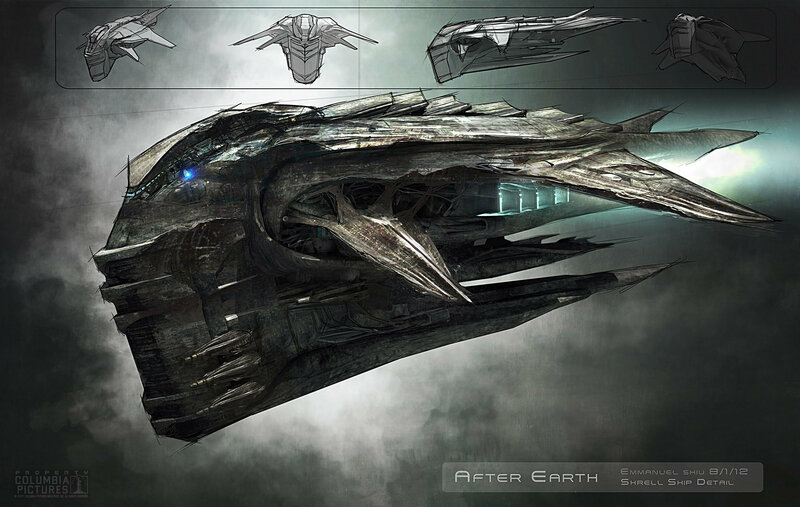 I was also tasked with designing the S’krell ships. There wasn’t much of a brief in terms of the S’krell’s origin or history, so I had free reign with the design. I was shown some of the creatures as reference, and my brief was to create a scary alien spaceship – but that was about it. 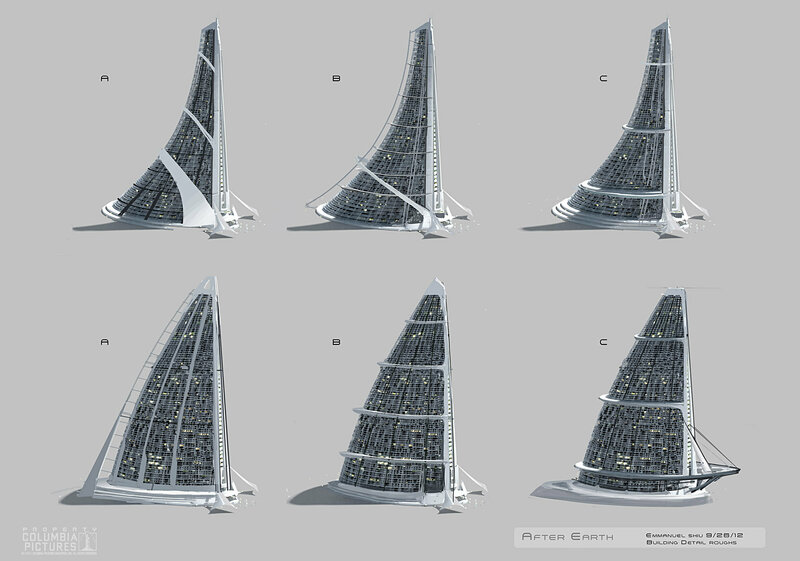 There were earlier concept rounds for the ships, but nothing really hit home, leaving me a blank slate to start with. A lot of my inspiration came from deep-sea creatures. I really like the look of deep-sea fish: they have a menacing quality, but also an organic beauty. I tried to recreate that in my designs. Nova Prime [above] was a challenge, but the most satisfying part of the project for me was definitely the S’krell ship, because it required complete creative input and really let me flex my muscles in terms of design. I tried to make the shapes appear otherworldly, yet still recognizable. After Earth is currently on release worldwide. All images courtesy of Columbia Pictures.